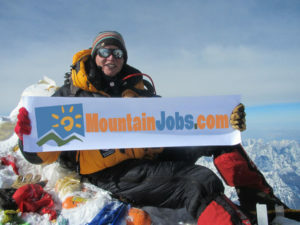 MountainJobs.com provides this Web site and the services offered on it (collectively, the “Services”) under the following terms and conditions of service and use (the “Terms”). Please read them carefully. You understand and acknowledge that the Services are provided to you exclusively under these Terms. By accessing and using the Services, you agree that you have read and understand the Terms and that you agree to be bound by them, without limitation or qualification. As used on this Web site, the terms “we”, “us”, or “our” refer to MountainJobs.com. MountainJobs.com may change the Terms from time to time. We will notify you of any such changes via e-mail and/or by posting the changes on the MountainJobs.com home page. If you object to any such changes, your sole recourse shall be to cease using the Services. Continued use of the Services following notice of any such changes shall indicate your acknowledgement of such changes and agreement to be bound by the terms and conditions of such changes, without limitation or qualification. You are responsible for maintaining the confidentiality of your username and password, and you are solely responsible for all activities that occur under your username and password. We recommend that you memorize this information, and not write it down. You agree to immediately notify us of any unauthorized use of your username and password or any other breach of security related to the Services. WE CANNOT AND WILL NOT BE LIABLE FOR ANY LOSS OR DAMAGE ARISING FROM YOUR FAILURE TO ADEQUATELY SAFEGUARD YOUR USERNAME AND/OR PASSWORD, OR TO OTHERWISE COMPLY WITH THIS SECTION. * submit, post, store or transmit any (a) Content that is unlawful, harmful, threatening, abusive, harassing, tortious, defamatory, vulgar, obscene, libelous, invasive of another’s privacy, hateful, racist, sexist, homophobic, or ethnically or otherwise objectionable; (b) Content that you do not have a right to transmit under any law or under contractual or fiduciary relationships; (c) Content that infringes the intellectual property rights of a third party; or (d) material that contains software viruses or any other computer code, files or programs designed to interrupt, destroy or limit the functionality of any computer software or hardware or telecommunications equipment. We are a distributor (and not a publisher) of Content supplied by third parties and users of the Services. Accordingly, we have no editorial control over such Content. Any opinions, advice, statements, services, offers, or other information or Content expressed or made available by third parties, including information provided by other users of the Services, are those of the respective author(s) or distributor(s) of that information and not of MountainJobs.com. We neither endorse nor are responsible for the accuracy or reliability of any opinion, advice, information, or statement made on the MountainJobs.com Web site or utilizing the Services by anyone other than authorized MountainJobs.com spokespersons while acting in their official capacities. We have the right, but not the obligation, to monitor and review the Content on the MountainJobs.com Web site and provided through use of the Services and your account to determine compliance with these Terms and any other operating rules established by us, to satisfy any law, regulation or authorized government request, or for other purposes. You understand and acknowledge that we do not pre-screen or monitor Content for accuracy or reliability, but that we and our designees shall have the right (but not the obligation) in our sole discretion to remove any Content from the Services, without liability to you for any reason. Without limiting the foregoing, we and our designees shall have the right to remove any Content that violates the Terms, that we believe may create liability for us, or that we deem otherwise objectionable. 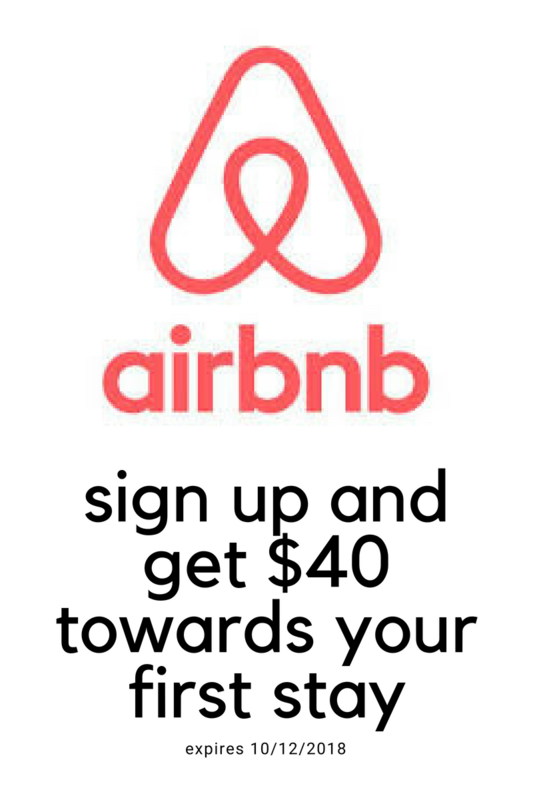 Your correspondence or business dealings with, participation in promotions of, or purchase of goods and/or services from our partners, advertisers or sponsors found on or through the Services, and any terms, conditions, warranties or representations associated with such dealings, are solely between you and such partner(s), advertiser(s) or sponsor(s). YOU AGREE THAT MountainJobs.com SHALL NOT BE RESPONSIBLE OR LIABLE FOR ANY LOSS OR DAMAGE OF ANY SORT INCURRED AS THE RESULT OF ANY SUCH DEALINGS, OR AS THE RESULT OF THE PRESENCE OF SUCH PARTNERS, ADVERTISERS OR SPONSORS ON OR THROUGH THE SERVICES. Our provision of a link to any other Web site or location is for your convenience and does not signify our endorsement of such other Web site or location or its contents. Any concerns you may have regarding any external link should be directed to that link’s Web site administrator or webmaster. MountainJobs.com SHALL NOT BE LIABLE FOR ANY INFORMATION, SOFTWARE, OR LINKS FOUND AT ANY OTHER WEB SITE, INTERNET LOCATION, OR SOURCE OF INFORMATION, OR FOR YOUR USE OF SUCH INFORMATION. We do not condone or allow spam. We prohibit you from using the Services to promote your own Web site or any business, product or service through the sending of unsolicited email. We reserve the right to investigate and terminate your rights under this Agreement. You acknowledge and agree that we may establish general practices and limits concerning use of the Services, including, without limitation, the maximum number of days that information, data, account history or other uploaded Content will be retained by the Services and the maximum number of times (and the maximum duration for which) you may access the Services in a given period of time. You agree not to reproduce, duplicate, copy, sell, resell or exploit for any commercial purposes, any portion of the Services, use of the Services or access to the Services. The Services are provided for your personal, noncommercial use only. You agree that we, in our sole discretion, may terminate your password, account (or any part thereof) or access to and use of the Services, and remove and discard any information posted by you on or through the Services, for any reason or no reason, with or without notice and effective immediately, including, without limitation, if we believe that you have violated or acted inconsistently with the letter or spirit of the Terms. You acknowledge and agree that we may immediately deactivate or delete your account and all related information and files in your account and/or bar any further access to such files or the Services. You agree that we may terminate your account if it remains inactive for an extended period of time. FURTHER, YOU AGREE THAT WE SHALL NOT BE LIABLE TO YOU OR ANY THIRD PARTY FOR ANY TERMINATION OF YOUR ACCESS TO THE SERVICES. You may discontinue your participation in and access to the Services at any time. YOU EXPRESSLY AGREE THAT USE OF THE SERVICES IS AT YOUR SOLE RISK. THE SERVICES ARE PROVIDED ON AN “AS IS” AND “AS AVAILABLE” BASIS. 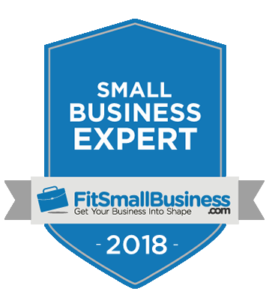 WE EXPRESSLY DISCLAIM ALL WARRANTIES OF ANY KIND, WHETHER EXPRESS, IMPLIED OR STATUTORY, INCLUDING, BUT NOT LIMITED TO THE IMPLIED WARRANTIES OF MERCHANTABILITY, FITNESS FOR A PARTICULAR USE OR PURPOSE AND NON-INFRINGEMENT WITH RESPECT TO THE SERVICES. WE MAKE NO WARRANTY THAT (A) THE SERVICES WILL MEET YOUR REQUIREMENTS, OR THAT THE SERVICES WILL BE UNINTERRUPTED, TIMELY, SECURE, OR ERROR FREE; (B) THE RESULTS THAT MAY BE OBTAINED FROM THE USE OF THE SERVICES WILL BE ACCURATE OR RELIABLE; (C) THE ACCURACY, RELIABILITY OR QUALITY OF ANY INFORMATION, PRODUCTS, SERVICES OR OTHER MATERIAL OBTAINED THROUGH THE SERVICES WILL MEET YOUR EXPECTATIONS; (D) DEFECTS IN THE SERVICES WILL BE CORRECTED; OR (E) THE MountainJobs.com WEB SITE OR THE SERVER THAT MAKES IT AVAILABLE IS FREE OF VIRUSES OR OTHER HARMFUL COMPONENTS. YOU UNDERSTAND AND AGREE THAT ANY MATERIAL AND/OR INFORMATION DOWNLOADED OR OTHERWISE OBTAINED THROUGH THE USE OF THE SERVICES IS DONE AT YOUR OWN DISCRETION AND RISK AND THAT YOU WILL BE SOLELY RESPONSIBLE FOR ANY DAMAGE TO YOUR COMPUTER SYSTEM(S) OR FOR LOSS OF DATA THAT RESULTS FROM THE DOWNLOAD OF SUCH MATERIAL AND/OR INFORMATION. WE DO NOT CONTROL IN ANY RESPECT ANY INFORMATION, PRODUCTS OR SERVICES OFFERED BY THIRD PARTIES, AND WE MAKE NO WARRANTY REGARDING ANY GOODS OR SERVICES PURCHASED OR OBTAINED THROUGH THE SERVICES OR ANY TRANSACTIONS ENTERED INTO THROUGH OR AS THE RESULT OF THE SERVICES. NO ADVICE OR INFORMATION, WHETHER ORAL OR WRITTEN, OBTAINED BY YOU FROM MountainJobs.com OR THROUGH OR FROM THE SERVICES SHALL CREATE ANY WARRANTY NOT EXPRESSLY MADE HEREIN. * any other matter relating to the Services or these Terms. You agree to indemnify, defend and hold harmless MountainJobs.com, its parents, subsidiaries, affiliates, officers, directors, co-branders or other partners, employees, consultants and agents from and against any and all third-party claims, liabilities, damages, losses, costs, expenses, fees (including reasonable attorneys’ fees) that such parties may incur as a result of or arising from (1) any information or Content (as defined below) that you (or anyone using your account) submits, posts or transmits through the Services, (2) your (or anyone using your account’s) use of the Services, (3) your (or anyone using your account’s) violation of these Terms, (4) your (or anyone using your account’s) violation of any rights of any other person or entity or (5) any viruses, trojan horses, worms, time bombs, cancel bots or other similar harmful or deleterious programming routines input by you into the MountainJobs.com Web site or other Services. 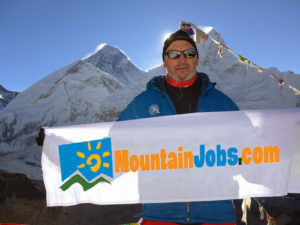 Certain of the names, logos, and other materials displayed on the MountainJobs.com Web site and in and through the Services System constitute trademarks, trade names, service marks or logos (“Marks”) of MountainJobs.com or other entities. You are not authorized to use any such Marks. Ownership of all such Marks and the goodwill associated therewith remains with us or those other entities. The content of the Services, including without limitation, text, software, music, sound, photos, graphics, video, page layout and design and other material contained in the Services or information presented through the Services by MountainJobs.com or its licensors (the “Content”), is copyrighted by MountainJobs.com and/or its licensors under United States and international copyright laws, is subject to other intellectual property and proprietary rights and laws, including trademark and patent laws, and is owned by MountainJobs.com or its licensors. The Content may not be copied, modified, reproduced, republished, uploaded, posted, transmitted, sold, offered for sale, or redistributed in any way without the prior written permission of MountainJobs.com and our applicable licensors. You must abide by all copyright notices, information, or restrictions contained in or attached to any Content. You hereby grant to MountainJobs.com and its successors and assigns, a worldwide, perpetual, irrevocable, royalty-free, sublicenseable right, in any media now known or currently known, to exercise all copyright and other intellectual property rights with respect the Content you provide to us to be published on the MountainJobs.com Web site or on or through the Services or otherwise through the Services, to use, distribute, display, reproduce, modify and create derivative works from such material, in any and all media, in any manner, in whole or in part, without any duty to account to you. The foregoing does not apply to Content contained on hyper linked pages or any other Content you do not submit to us. The Terms constitute the entire and exclusive and final statement of the agreement between you and MountainJobs.com with respect to the subject matter hereof, and govern your use of the Services, superseding any prior agreements or negotiations between you and MountainJobs.com with respect to the subject matter hereof. The Terms and the relationship between you and MountainJobs.com shall be governed by the laws of the State of Tennessee as applied to agreements made, entered into and performed entirely in Tennessee by Tennessee residents, notwithstanding your actual place of residence. All lawsuits arising out of the Terms or out of your use of the Services shall be brought in the Federal or state courts having jurisdiction over San Francisco County, Tennessee and you and Owners hereby irrevocably submit to the exclusive personal jurisdiction of such courts for such purpose. Our failure to exercise or enforce any right or provision of the Terms shall not constitute a waiver of such right or provision. If any provision of the Terms is found by a court of competent jurisdiction to be invalid, the parties nevertheless agree that the court should endeavor to give effect to the parties’ intentions as reflected in the provision, and that the other provisions of the Terms remain in full force and effect. You agree that regardless of any statute or law to the contrary, any claim or cause of action arising out of or related to use of the Services or the Terms must be filed within one (1) year after such claim or cause of action arose or be forever barred. The section titles in the Terms are for convenience only and have no legal or contractual effect. The provisions of Sections 4, 6, 7, 8, and 10 through 19, as well as any other limitations on liability explicitly set forth herein shall survive the expiration or earlier termination of the Terms for any reason. MountainJobs.com’s (and its licensors’) proprietary rights (including any and all intellectual property rights) in and to the Content and the Services shall survive the expiration or earlier termination of the Terms for any reason. Please report any violations of the Terms to us at info@MountainJobs.com.